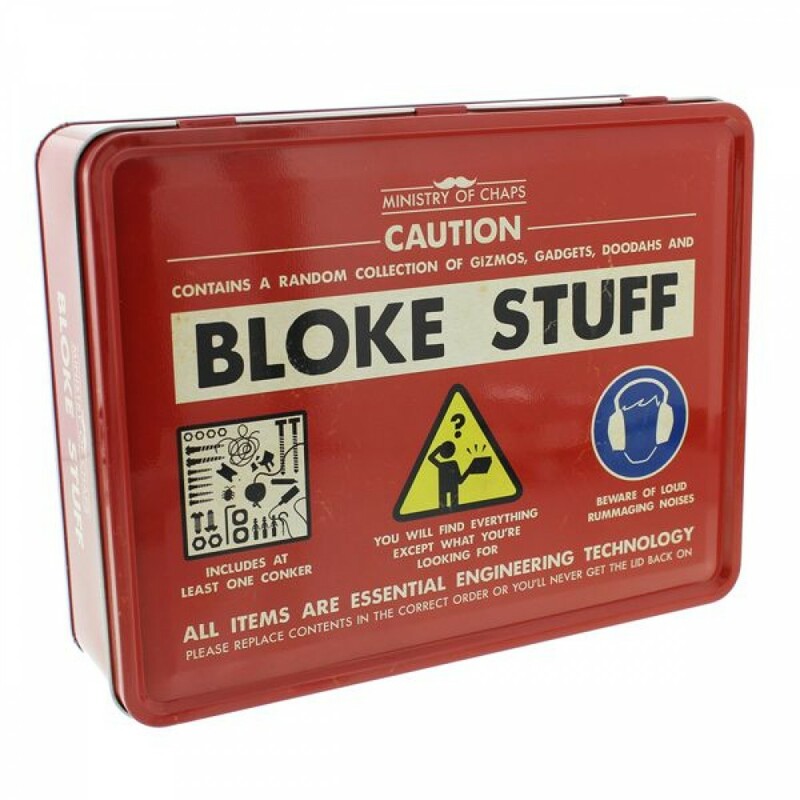 Caution: Contains a Random Collection of Gizmos, Gadgets, Doodah's and BLOKE STUFF. Includes a least one Conker. You Will Find Everything Except What You're Looking For. Beware of Loud Rummaging Noises. All Items are Essential Engineering Technology. Please replace contents in the correct order or you'll never get the lid back on. 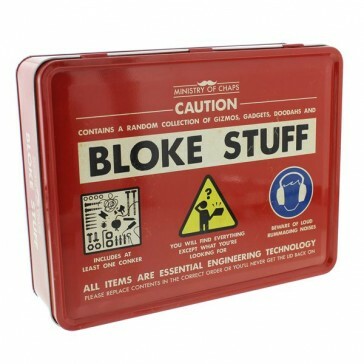 The stylish (empty) Storage Tins allow recipients to store their own random ?Bloke Stuff? (e.g. bits and bobs, gardening gadgets, rusty nails, odd screws, phone charger parts, dud batteries, secret stashes of lollies or biscuits). Printed exterior design. Hinged lid. Ministry of Chaps logo on base. 24cm L x 18.5cm H x 6.5cm D.